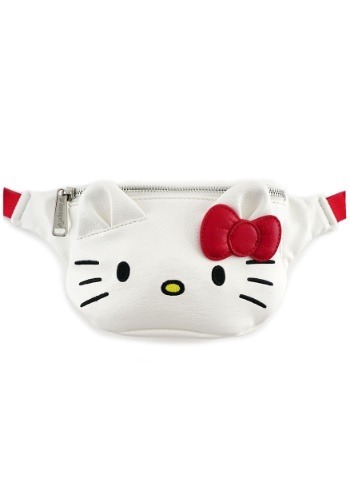 Fanny packs are the most low maintenance handbag in the handbag family. They beat out crossbody bags, and even mini coin purses for the title of 'most low maintenance' because they don't even need to be held. Simply strap a fanny pack around the waist and BAM— you're ready to venture out into the world and get things done. Not only is this a hands-free bag, but it also takes on a life of its own because it's in the shape of a very notable feline, the one and only, Hello Kitty! Not only is this bag hands-free, not only is it simple, not only is it adorable, but it's also modeled after the likeness of one of the world's most famous cats around. She'll faithfully follow you wherever you go, not at your heels but around your waist! 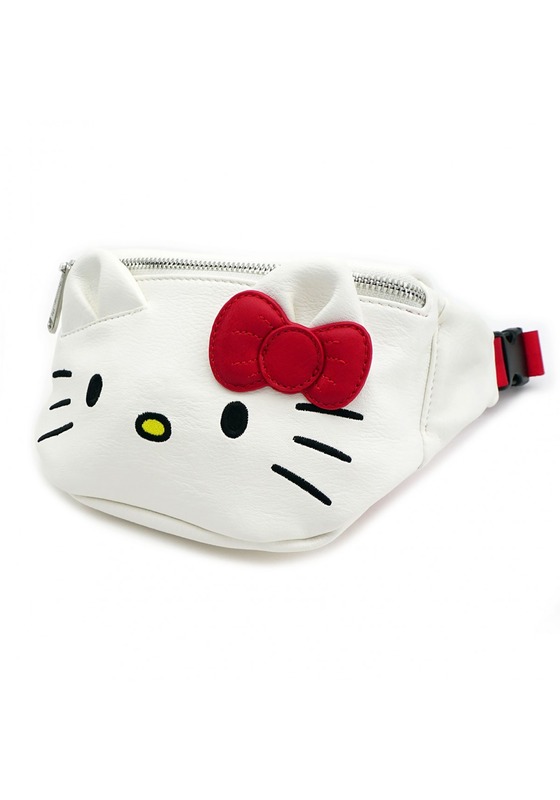 Brought to you by Loungefly, the faux leather Hello Kitty fanny pack is everything you could ever want from a fanny pack. In addition to Hello Kitty's famous red bow and cute, blank stare, the officially licensed handbag has a convenient zipper closure to hold all your valuables as well as an adjustable strap. Pair this with a Hello Kitty costume for the purrrfect look.